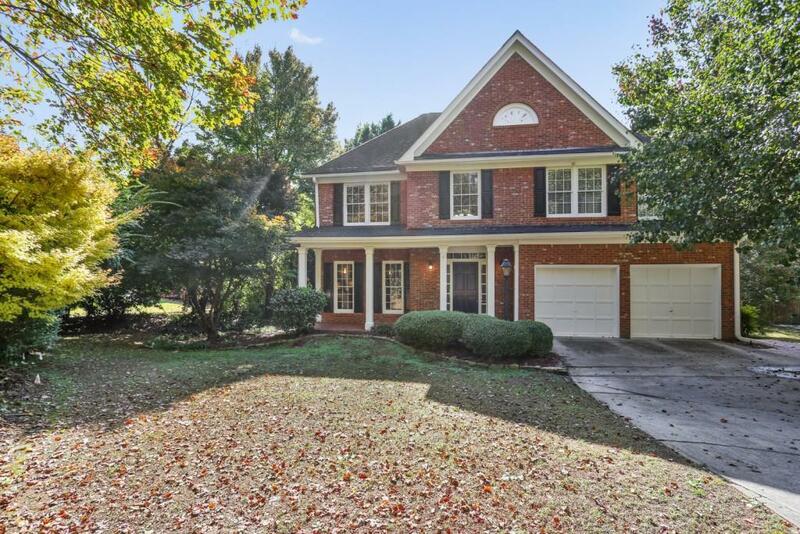 Beautiful brick home in sought-after Vinings! GORGEOUS newly refinished Brazilian hardwoods on main. High-end granite, stainless appliances, recessed lights, & desk area in updated kitchen open to family rm. Stained wood columms at archway to 2-story family rm w/huge windows & French doors to back deck & patio area. Separate living room + formal dining room perfect for entertaining! Oversized master w/tray ceiling + master bath boasting oil-rubbed bronze fixtures, double vanity & large closet. All 4 bedrooms up! Charming deck + patio, invisible fence. Directions: From 285 Take Exit 16 S Atlanta Rd Toward Smyrna. Turn Left Onto Atlanta Rd. Turn Left Onto Brownwood Ln SE. Turn Right Onto Log Cabin Dr. At Subdivision Sign That Says "chapel Hill At Vinings, " Turn Right Onto Woodland Brook Ct, Then An Immediate Left Onto Log Cabin And Follow To Dead End.